Dr. Luc Schlangen received his PhD from Wageningen University in 1995, after which he joined Philips Research Laboratories Eindhoven. His initial work focused on material science for displays, E-paper and skin care. In 2005 he joined the Philips Lighting headquarters to work on:(i) visual and non-visual responses to light, (ii) their impact on human health, performance and well-being,(iii) how to translate these responses into innovative lighting applications and strategies in health/elderly care, education, homes and workplaces. He is currently working in the Signify Lighting Applications research group and actively contributing to various standardization activities within CEN, DIN, CIE and ISO. He is the Dutch representative of CIE Division 6 “Photobiology and Photochemistry” and chair of CIE JTC 9 which prepared CIE S 026. He has been elected Director of CIE Division 6, starting June 2019. Have you ever noticed that there are some spaces that you just really enjoy being inside of and some that make you feel depressed or tired after you are in them for too long? As a species, humans evolved outdoors, under the extreme cycles of the variable light of day and the saturated dark of night. My favorite indoor spaces are painted with daylight and fade toward dimness as sunset approaches, finally flickering with a warm glow until the last embers of light extinguish. Daylight breathes light and life into our buildings with sometimes erratic variability, filling periods with a soft and uniform shroud and providing jolting moments of intensity and contrast. Daylight reconnects us with the WILD of nature that often escapes our perception and engagement in controlled indoor urbanized life. Daylight in buildings invigorates productivity, and it can increase alertness and improve mood. I have spent my career designing daylight into buildings, and studying what we love, and what we sometimes hate about these designs. For almost 20 years, this has been a conversation that ping pongs between flooding buildings with diffuse daylight to enhance comfort, increase productivity in offices, test scores in schools, or retail sales in big box stores, while blocking direct sun to avoid excessive heat gain and glare. It is incredibly challenging to make design decisions in a manner that will reliably provide perfect places all of the time, and we must accept a certain compromise. Recently, the academic community, and to some extent the design community, has turned attention for lighting innovation to the human neuro-physiological mechanisms that interpret lighting signals and regulate our body clock and the associated human systems that relate to these profiles of light and dark, including sleep/wake, digestion, and alertness. The excitement and optimism of this lighting and daylighting territory is palpable, and to some it has reprioritized the purpose of lighting design away from supporting vision, and toward human health. This begs the question, how do we design lighting in spaces to support vision AND health? Are these congruous or sometimes opposing goals? The daylight bathed indoor environments that I have worked so hard to create are at risk of perceived obsolescence. With the development of increasingly efficient photovoltaic electric production, and ultra-low wattage LED lighting fixtures, the energy argument for daylight is quickly eroding. With the proliferation of so-called “circadian” electric lighting, be it via “tunable white” or “spectral tuning”, the human health argument for daylight is also threatened. In our exuberance to maximize and advertise health benefits of lighting , this space is quickly becoming commoditized by industry. Daylight, with less robust industry activism, and less easily commodified, is often an afterthought. Daylighting design is in the rearview mirror, left in the dark. Or, I could say, left in the dust? Daylight and dust? In an effort to enrich and broaden our understanding of daylight on human health, we embarked to launch a new field, daylight AIR quality. We recently completed a study that investigated the impact of this natural phenomena on indoor air quality by working with partners in microbiology and theoretical ecology. Daylight and indoor AIR quality, you might ask? Daylight is typically considered relevant to indoor environmental quality, but air quality is left to others in material chemistry and particle physics. Nonetheless, we studied the impact of daylight spectrum and dosage on the bacterial communities in indoor dust using high throughput DNA sequencing, QPCR to estimate absolute abundance of bacteria, and PMA treatment to determine which bacteria were viable. We compared the impact of visible light spectra, to UV spectra, to the absences of either on homogenized household dust. Our findings reveal that household dust exposed to daylight, as compared to darkness, had a significant impact on total bacterial viability and that bacterial communities that did not receive daylight contained more bacterial organisms associated with human skin and gut communities. In this case, an interdisciplinary approach that includes researchers with expertise in architecture, energy engineering, microbiology, and daylight has begun to pull the curtain back to reveal new roles for lighting design, lighting the UNseen. 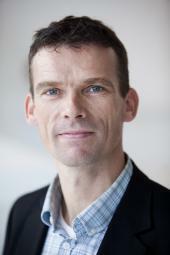 Dr. Kevin Van den Wymelenberg is an Associate Professor at the University of Oregon. He is the Director of the Institute for Health in the Built Environment and the Energy Studies in Buildings Laboratory, and Co-director of the Biology and the Built Environment Center in Eugene and Portland, OR. He has a PhD in the Built Environment from the University of Washington. He teaches classes in daylighting, integrated design principles, mechanical and electrical systems design, acoustics, indoor air quality, energy performance in buildings, and design. Van Den Wymelenberg has consulted on several hundred new construction and major renovation projects with architects and engineers regarding daylight and energy in buildings since 2000. He has made over 100 invited presentations to the Illuminating Engineering Society, the National Academy of Sciences Engineering and Medicine, LightFair International, and other venues. He has authored more than 75 papers and two books related to daylighting, visual comfort, and low energy design strategies. He has completed secured/completed over $13M in funded research and outreach in energy and indoor environmental quality research for the Northwest Energy Efficiency Alliance, United States Environment Protection Agency, United States Department of Energy, United States Department of Agriculture, The Alfred P. Sloan Foundation and others. 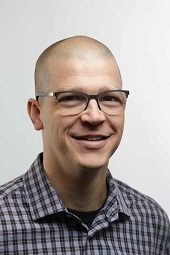 Kevin is the Chair of the IENSA’s Daylight Metrics Committee and co-author on IES document LM-83 that serves as partial basis for the LEED V4 Daylighting Credit.